Bridal Shows are an excellent tool for getting a lot of wedding related tasks tackled all at once, plus an amazing source of wedding inspiration. On the other hand, there is so much to see and so many vendors vying for your attention, they can be a bit overwhelming. WhereBridesGo.com has a few tips and tricks for you to try that will help to make your bridal show experience both pleasant and successful. 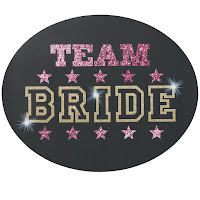 If the bridal show you will be attending offers pre-registration, do it! Instead of filling out paperwork when you first get there, you can get into the show faster and get to the main event. You might even be eligible for additional giveaways by getting your name on the list early. A bridal show is the perfect time to get a close-up look at what your local wedding vendors can really do, plus find out if their personality and wedding planning philosophy will gel well with yours. If it is a very large show, you could be in for a long day. Research the vendors that will be there, and plan to visit the ones that you are most interested in first. Also, if you already have some of your vendors booked, those booths can be skipped, giving you more time to find the vendors that you still need. The other booths will still be there to browse at the end if you have extra time. Take friends or family along with you that will enjoy this type of event and can also help you accomplish everything that you need to get done. It can be a really fun girls' afternoon for you and your entire wedding party, or you can simply go with only your maid of honor. Some brides bring along their mom and future mother-in-law, and a few even persuade their groom-to-be to join them. Having helpers means that you can cover more ground. Send them out scouting for you if necessary, let them help you carry all of that swag the vendors will be giving away, and use them to fend off any pushy vendors that you want to get away from. Most importantly though, only take team members that you can have fun with. Designate a wedding email address. You'll be meeting a lot of wedding vendors, and every time you sign up for giveaways at their booths, you'll most likely be giving out your email address. Rather than trying to separate all of the emails that you'll be getting about the wedding (both wanted and unwanted,) set up a temporary email address specifically to handle wedding information. Once the wedding planning is over, you can shut down that address and never have to get an email from those vendors again. If there are some that you believe you may use in the future for other events, you can send them your permanent email address. Once bridal show day arrives, there are a few things to keep in mind before you head out. There is really no dress code, but you will be doing a LOT of walking, so comfortable shoes are extremely important. Be sure to eat a light meal before you attend the show. There will most likely be samples from caterers and bakeries, but all of that sweet cake won't sit well on your stomach after multiple samples if you don't have some solid food in there already. Taking the following items along will help you stay organized and have a more successful experience. You won't get a lot of quality time with vendors with all of the other people trying to talk to them too. Have your calendar handy to schedule one-on-one meetings with the best ones that you want to get to know better and possibly hire. If you happen to find a wedding vendor that you absolutely have to have, put a deposit down right away before someone else books your date. Also, many vendors may be offering "bridal show only" discounts that you won't want to miss. Even with all of those samples being given away, you may get hungry or thirsty. There should be stands to buy meals or snacks, and possibly a bar. Have cash handy in case that is all the smaller stands accept. You may be given a bag to hold all of the goodies that you will be collecting at different booths (fliers, business cards, promo items, etc...) but it's always better to be safe than sorry. An added bonus if you end up having more than one bag is that you can put your VIP information in one and extra items from vendors that you don't like as much in the other. Don't throw away anything until you have for sure booked your vendors though. That way, if you don't go with your first choice for some reason, you'll still have contact information for your second choice . Whether you keep track of your wedding planning with an actual in-hand binder or you catalog everything digitally on your computer or mobile device, have it close by. You can add important information to it while everything is still fresh in your mind. Have a pen and paper in there to take notes about things that you see and want to remember. A great trick is to write those notes directly on the flier or business card from the vendor that you are writing about. 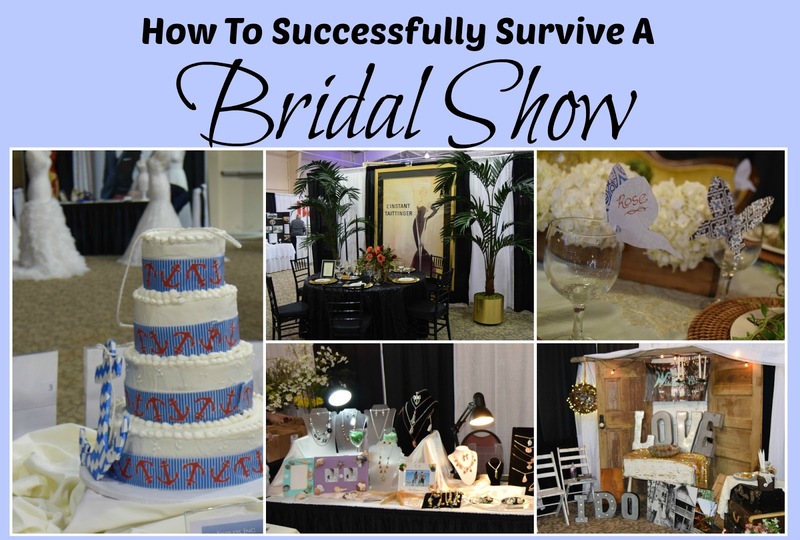 The tips above should help you to get the best possible information out of every bridal show that you attend. Visit with the other brides that you meet while you are there and compare notes with each other. 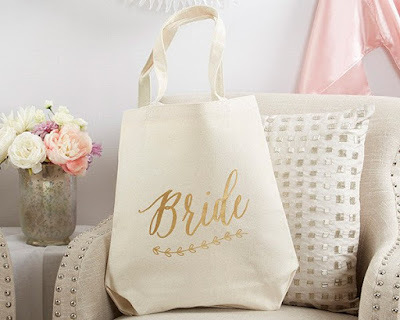 If you use the bridal show to find as many vendors as possible, that task can be checked off of your to-do list and you can move on to the fun stuff, like searching our online wedding accessory store for the details, like table decorations, bridesmaid gifts, unique guest books, gorgeous cake toppers, and so much more. 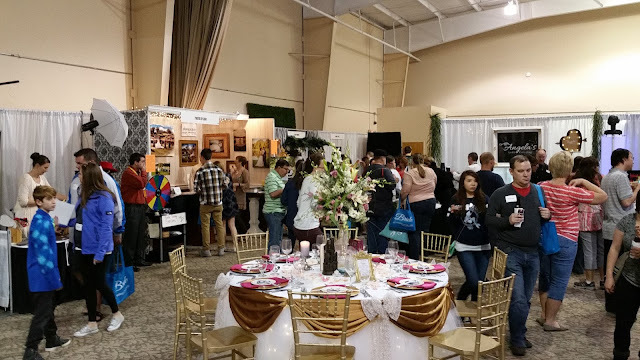 The bridal show is a great place to get everything started, and WhereBridesGo.com can help you to pull all of the pieces together for an unforgettable wedding.